Final Fantasy XIV patch 4.2, it’s one of the biggest content drops in the history of the game now that Square Enix is giving us the Savage version of the raid on day one. Rise of a New Sun uses the same new tomestone, gear up for savage principle as past patches. Final Fantasy XIV’s update 4.2, this patch’s 4.2 dungeons are par for the course, which is both a good and bad thing. Regarding this patch’s more information, visit the official website here. While it’s true that Final Fantasy XIV’s progression system is formulaic, its encounters are anything but. The actual boss fights in the new dungeons are fantastic, as are the main events – the new trial and the raid, Sigmascape. Sigmascape is just a win in every category. The entire raid is an homage to Final Fantasy XIV, and not in a cloying remember this kind of way. The battles, including the high octane Phantom Train, are some of the finest work of any MMO to date. 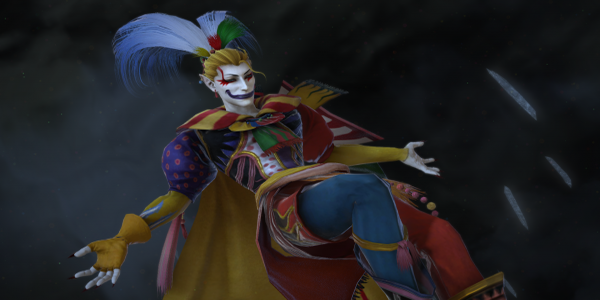 Sigmascape is filled with references to Final Fantasy’s storied 16-bit history but the one encounter that sent chills down the spine of those who watched the pre-release Final Fantasy XIV 4.2 patch trailer was only hinted at – a battle with the one and only, Kefka Palazzo. Battling Kefka is interesting, challenging and when it’s not rage inducing to die to lie mechanic with less than 10% health left, a lot of fun. Final Fantasy XIV patch 4.2 ” A New Son Rises” once again sees the Warrior of Light, Cid Nan Garland, Nero Tols Scaeva and Alpha the Chocobo face off against the artificial creations of the fearsome Omega. Other improvements include new housing items, new fashion items, a whole new set of tomestone gear, new emotes and PVP adjustments. You can opt to go to here to know more: https://www.ffxiv4gil.com/.